Palatine Hill: imperial palace of the emperor Domitian (51-96 AD). It is still uncertain the precise function of this large building, also known as Domitian's stadium (Stadio di Domiziano) or "Circus Agonalis". The stadium was part of the imperial palace and was surrounded by a two-story portico. 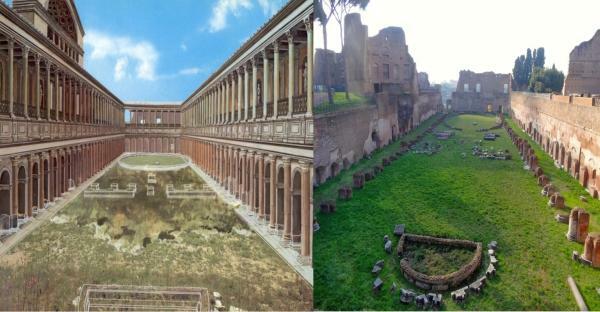 Maybe it was not just an hippodrome, but more in general, it was the “viridarium” (the garden), private place where the emperor he could walk on sunny days and watch the races.